The Defense Ministry on Thursday said it confirmed that singer and actor Rain bunked off military duties to meet his girlfriend, actress Kim Tae-hee. The ministry said it considers this a violation of military regulations and will put him in front of a disciplinary committee. Rain, who is serving in the Army entertainment corps, left his military base citing official duties on Nov. 23, Dec. 2 and 9 to work on a song for a military event at a recording studio in Gangnam. On all three occasions Rain met up with Kim between 9 and 10 p.m. after working on his music. Kim apparently drove him back to his base in the ministry compound every time, and Rain reported back at around 10:30 p.m.
"It is true that there was contact on the way back," ministry spokesman Kim Min-seok said. "Contact for private purposes can be seen as a violation of regulations." Rain has raised eyebrows by taking 94 days off base, or one-fifth of his 450 days of service so far, more than twice the number of average holidays enjoyed by other troops from 2009 to 2012, and that even before he has used the 28 days of regular holidays to which he is entitled. They included 25 overnight stays at the studio. "We phoned his studio each time to confirm that he was sleeping there," a military official said. "To our knowledge, he did not sleep outside of the studio." According to the spokesman, the ministry believes Rain committed only four violations -- failing to wear his military cap in public and meeting Kim on those three occasions. "An entertainment corps disciplinary committee will convene next week and take necessary steps," he said. He added that Rain is unlikely to serve time in jail but could have his holidays revoked. 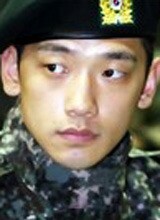 The ministry said Rain admits his offenses and told his superiors that he would take time to "reflect upon his actions." In response to the public outcry, the ministry has also decided to come up with a new set of rules that compel entertainment corps soldiers to be accompanied by senior officers when leaving their base and to return by 10 p.m. after practicing their routines. "We will bolster measures so that the entertainment corps will not face any more criticism over special privileges," Kim said. "This will include steps to curb excessively long vacations." Some critics are calling for the corps to be dismantled, but the military is not willing to go that far. "Entertainment corps members often work weekends and even use up their holidays to practice for military performances or to appear on Army broadcasts," said one official. "It definitely helps boost troops' morale, so it's better to strengthen rules than to dismantle it."